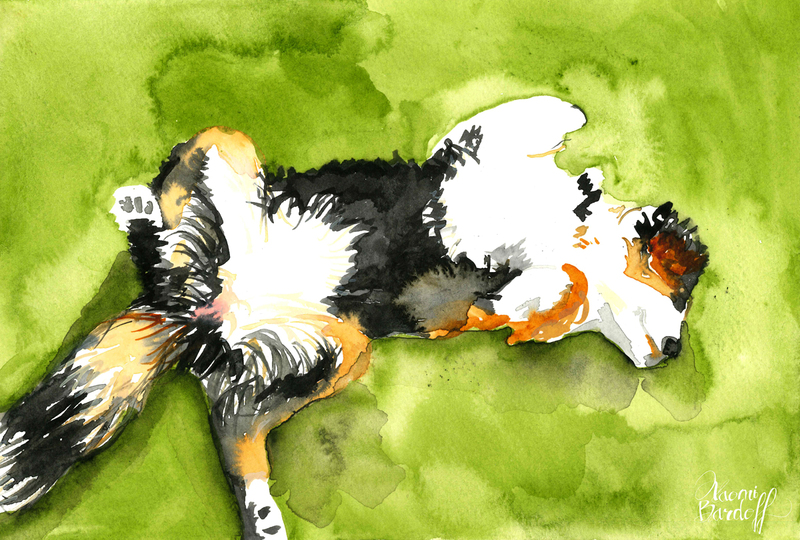 Watercolor portrait of a cutie pie Bernese Mountain Dog puppy. Original is just 5"x7". I would love commissions for pet portraits! Email me at naomi dot bardoff at gmail dot com or use the contact form on my website.